Shopping for a new car in the Madison area? Find what you want with the new vehicle inventory at Bob Boyte Honda. We have a wide variety of Honda models in stock, from the popular Honda Civic to the fan favorite Honda Pilot. When you’re ready to upgrade your trips around Ridgeland and Clinton, stop by Bob Boyte Honda to get matched with a Honda models for sale! 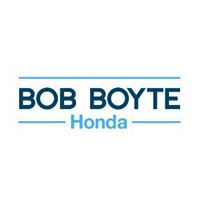 Why Choose a New Honda from Bob Boyte Honda? Our associates are standing by, ready to make your car buying process as easy as possible. Contact us today to get help finding the vehicle of your dreams, or to schedule a test drive of a model that piqued your interest at Bob Boyte Honda.